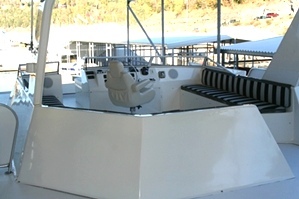 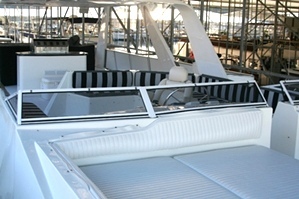 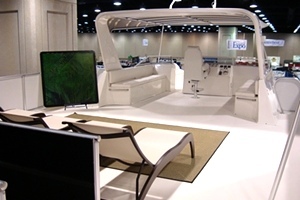 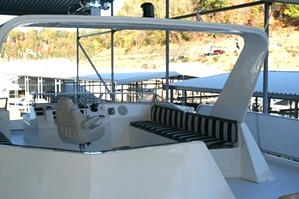 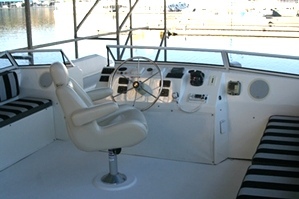 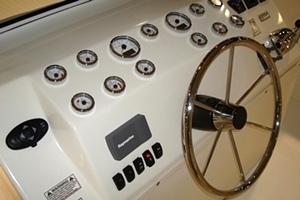 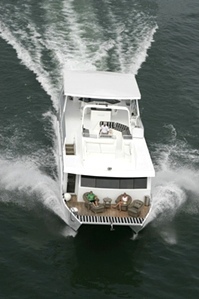 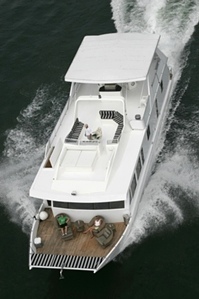 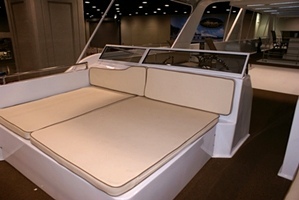 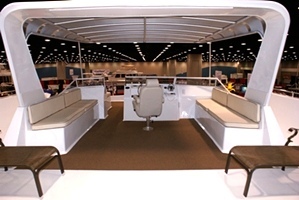 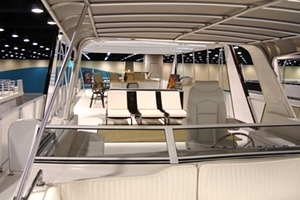 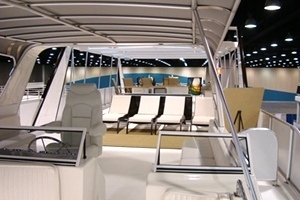 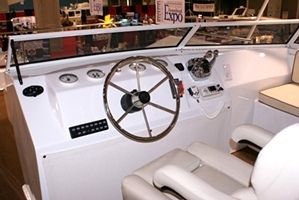 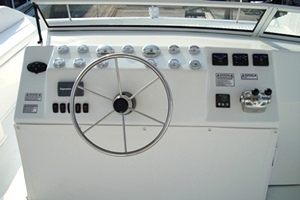 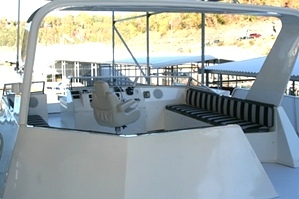 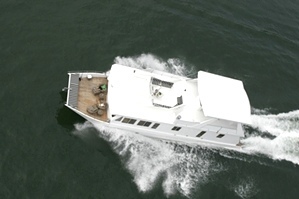 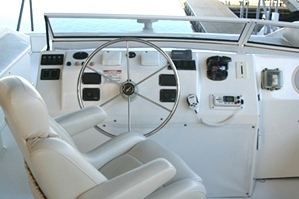 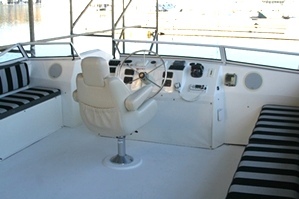 Stardust XL Flybridge with walk thru sundeck forward of the windshield. 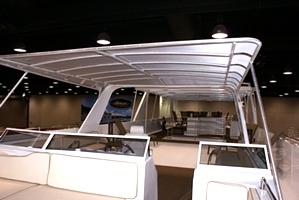 Fiberglass arch adn our custom top. 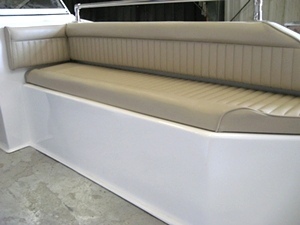 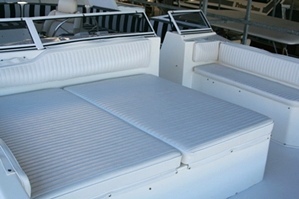 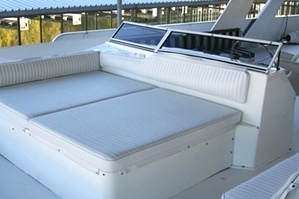 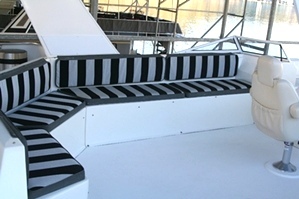 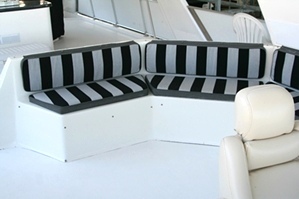 A fiberglass top is also available and an additional piece is available that creates a u-shaped seating area at the rear of the bridge.